ACL(Anterior Cruciate Ligament) and Meniscus tear are the most common injuries among people who are into sports, often caused by twisting, turning and foot planted while the knee is bent. Most doctors recommend the use of knee brace for men for post-surgery knee exercises. Kids knee brace improves poor blood-circulation by providing the right amount of compression-levels around your knees and helps recover faster from joint pain, sprains, and patellar tendonitis with tight but breathable compression of these knee brace women. These compression knee sleeve men is highly effective in supporting your knees and reinforces the body’s weaker joints, helping you avoid injury and pain. Knee braces for women plus size improves endurance & protects your knees, reducing stiffness in muscles and joints. 1. 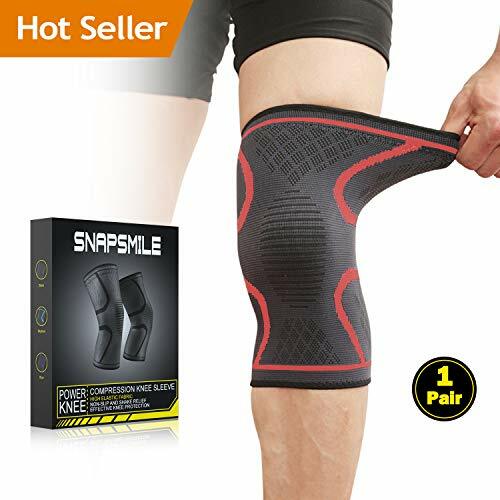 No-Slip Silicone: Thanks to the double anti-slip silicone strips on the top of the knee brace for running, buyers never experience the undesirable slippery effect again! Full support and protection of compression knee sleeve women is guaranteed throughout your whole workout process. 2. 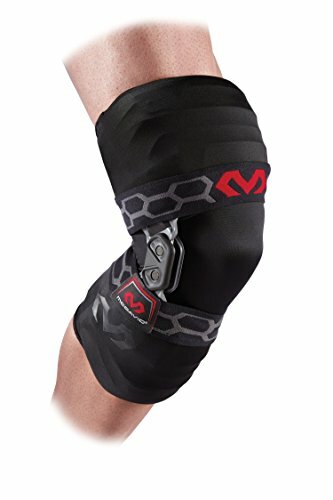 Breathable Sweat Absorbing Fabric: The knee brace for arthritis adopts high-elastic breathable fabric, which softly and comfortably fits the muscles, absorbs sweat and reduce sultry feeling, and the bidirectional elastic fabric of knee brace for arthritis pain and support provides uninterrupted pressure for knee protection. 【Extra Knee Support for All Sports】 The knee support for men is the perfect fit for any activity that involves a great amount of stress on the joints like baseball, basketball, crossfit, soccer, golf, hiking, running, tennis and more! You’ll be able to enjoy exceptional knee support with this knee support for women. 【Wider Coverage for Pressure Distribution】The knee sleeves for weightlifting stretch above and below the knee with an equal pressure distribution to offer advanced level protection, which ensure your knees suffer equal compression. 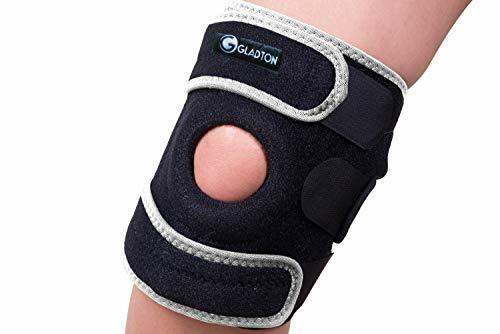 【Reinforced Patella Stabilizer】The knee brace for meniscus tear exerts a beneficial massaging action during exercise and has a gentle compression that improves the sensorimotor function of the entire joint. The heating effect of plus size knee brace improves circulation and promotes muscle recovery. This knee brace for women is ideal for treatment, rehabilitation and rehabilitation. 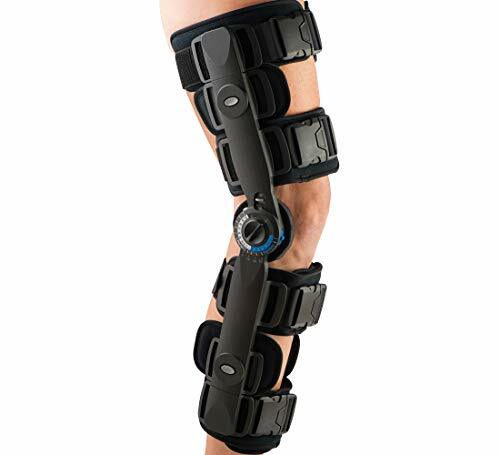 【Satisfaction Warranty】Our 3D knee brace compression comes with 3 months warranty and 180 days money back. If you have any issues, please feel free to contact us, we’ll solve your problems to the best of our ability. And we hope that you will enjoy our 3D knee brace compression. 【Pain Relief & Joint Protection】The compression knee brace applies stable pressure across your knee joint, which provides ultimate pain relief from arthritis, joint pain relief, tendonitis, post-surgery, swelling as well as strains and sprains. The knee brace plus size is designed to reduce inflammation or swelling after an injury and helps you recover from surgery. Knee compression sleeve for men is ideal for meniscus tear, ACL, MCL, PCL, tendonitis as well as runners and jumpers knee problems.